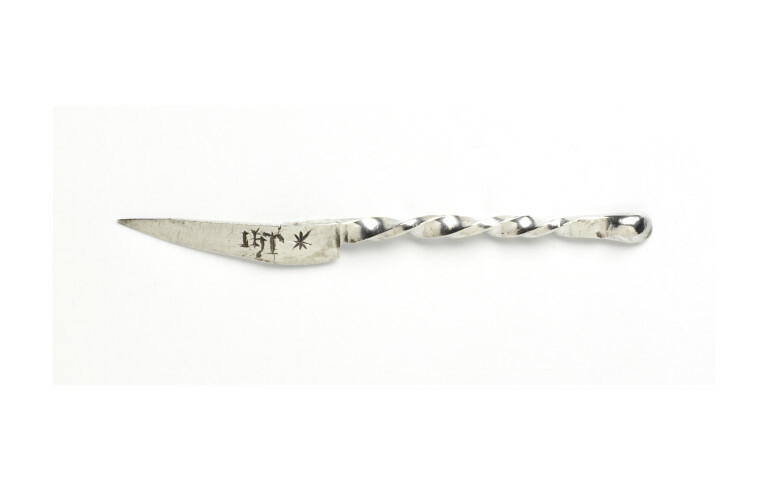 Manicure instruments like this, which are now rare, would once have been owned by everyone with aspirations to fine living.Here the handle is twisted like a corkscrew, with a small cup-shaped depression at one end, which acts as a a spoon to remove ear wax. It is joined to a small knife, with a sharp lower edge, which was used as a nail parer. The blunt upper edge, with slight serrations towards the top, was possibly used as a nail file. The word IHS inscribed in Gothic script on the knife blade represents the abbreviated name for 'Jesus' in Latin. This inscription was understood as a protection against all evils, and was written, painted or woven on a huge variety of objects, ranging from brooches and small implementslike this, to carpets and dishes. Sixteenth-century writers, echoing the classical authorities, advised that nails should be long enough to protect fingers but short enough to allow them to grasp tiny objects. The handle is twisted like a corkscrew, with a small cup-shaped depression at one end. 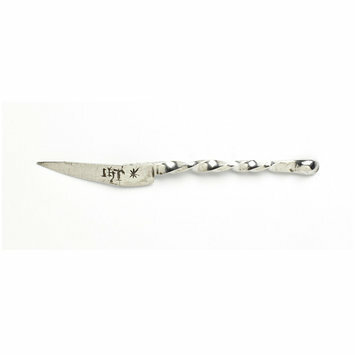 It is joined to a small knife, which was used as a nail parer. This has a blunt upper edge, with slight serrations towards the top, possibly used as a nail file. The lower edge of the nail parer is sharp . The words IHS are inscribed in lower case Gothic script on the knife blade. Marta Ajmar-Wollheim and Flora Dennis (eds. ), At Home in Renaissance Italy, London 2006, p. 180-181. Joan Evans, Magical Jewels, 1922.